For most of us, Thanksgiving Day is tomorrow. A time when we remember family, friends, and the good things that have happened throughout the year. But for our friends and colleagues in the Mohegan Tribe, you could say that a long-awaited thanksgiving happened last Friday in the Corporation Room of Yale’s Woodbridge Hall. 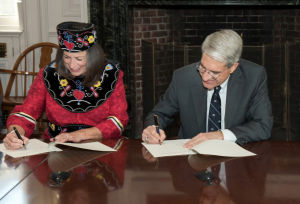 There, after decades of discussion and negotiation, Yale University and Mohegan officials signed an agreement to return hundreds of Mohegan cultural items once part of the collections at the Peabody Museum. 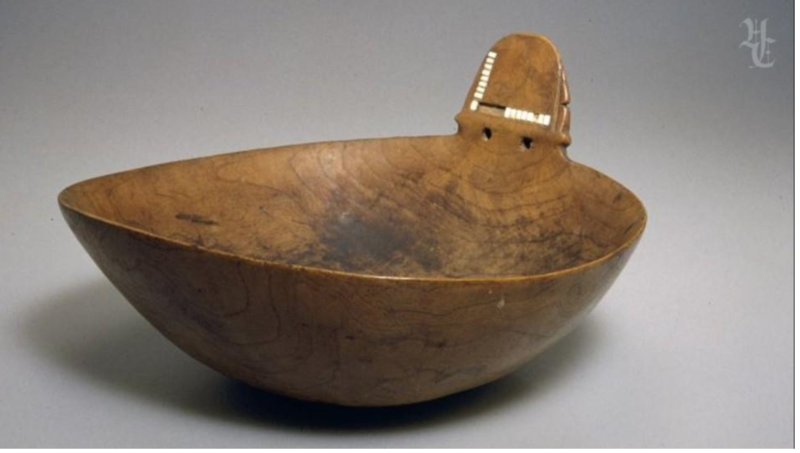 Objects include a wooden doll, a mortar, archaeological artifacts collected from Grand Sachem Uncas’ Fort Shantock in Uncasville, CT, and an 18th-Century wooden succotash bowl that once belonged to Lucy Occum (1731-1830), the sister of Samson Occom. 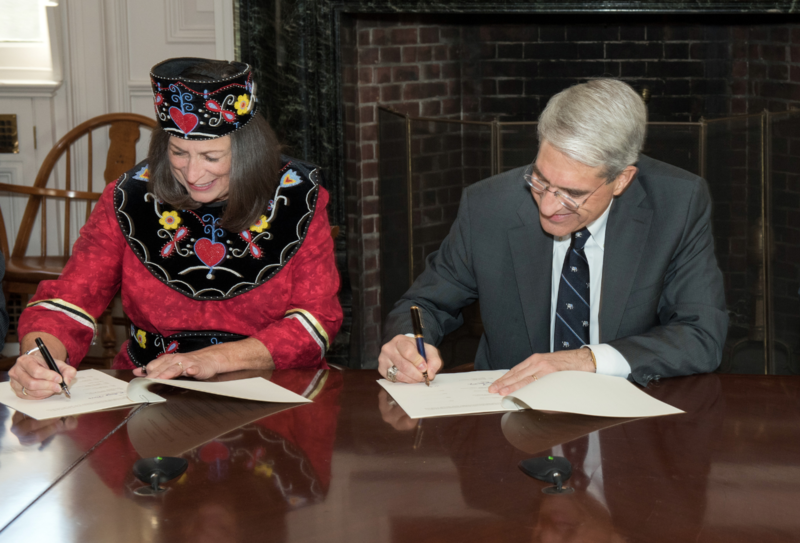 After the signing of the agreement, the Mohegans presented President Peter Salovey with a contemporary wampum burl bowl crafted by tribal community member Justin Scott. Congratulations to all of the Mohegan community. 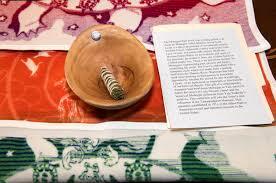 Photographs of Chief Malerba and President Salovey and the Justin Scott bowl by Mara Levitt, Yale News. Photograph of Lucy Occum bowl courtesy of Peabody Museum, Yale University.